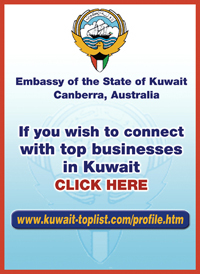 For more information and a copy of the application form, please visit http://maroniteacademy.com/. The 2018 Lebanese summer will witness remarkable memories and life-binding moments! An unforgettable journey into the heart of Lebanon from 4 August until 19 August, 2018, is waiting for the Maronite Academy Educational trip 2018 winners! Selected candidates (between the ages of 20 and 30, of Lebanese descent, living abroad) will undergo online sessions (e-learning sessions) to build their knowledge about Lebanon and the Maronite Heritage. After successfully completing their online courses and written essay, the candidates chosenwill benefit from an organised two-week trip to Lebanon with all expenses covered by the Maronite Foundation. During their stay in Lebanon, the candidates will get to bond with their roots and explore the history of Lebanon and the Maronite Heritage through specialised seminars given by prominent figures and various religious and educational site visits. For more information and application form, please visit http://maroniteacademy.com/. 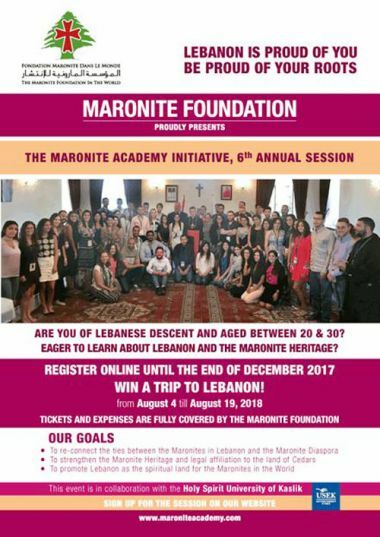 Many young Lebanese-descent Christians from various countries around the world will have a chance to win a trip to visit Lebanon in August 2018, and partake in the Maronite Academy. The Maronite Academy is an initiative undertaken by the Maronite Foundation for the 6th consecutive year, which aims to bring the Lebanese Diaspora's youth closer to their roots and their country of origin. Please spread the word about the Maronite Academy initiative! Invite your friends to register from today until the end of December 2017 to join the Maronite Academy!